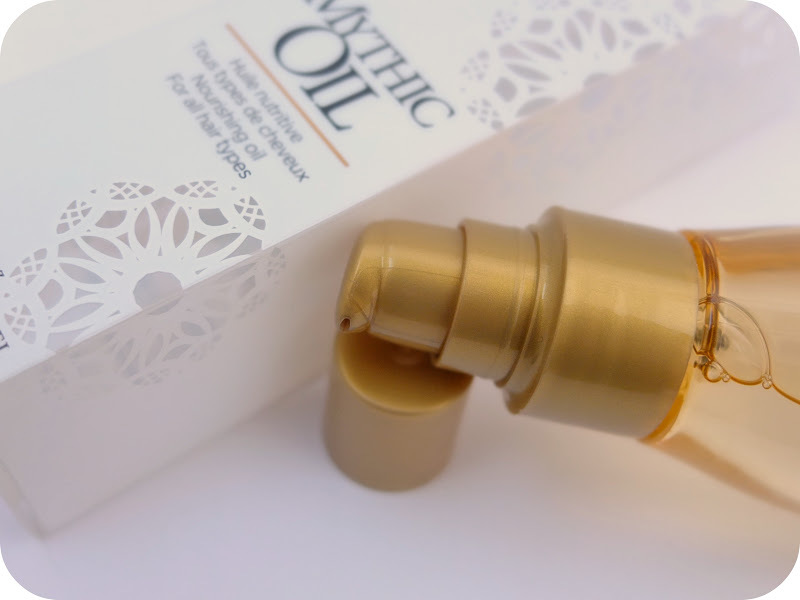 I know, I’m a little late to the party with blogging about the much coveted Mythic Oil, but after so much praise and hype, I decided to give it a go. You’ve seen the reviews, ”it’s the best thing ever!” ”omgz lyk totes makes my hair awesome” blah blah blah, and for £14.95 a bottle I was really expecting to and wanted to experience this miracle oil on my hair for myself. My hair is dry and can be prone to that little bit of frizz, and from what I’d read about Mythic Oil it seemed like the ideal product. But did it live up to expectation? Oh, what do you think? So when we see something which is called ‘Mythic Oil’ what do we think folks? I did think it would reflect a product which was luxurious, mysterious, or you know, something a bit better than average, something rare and exotic, like unicorns…. I was expecting to be writing a glowing review of something I wouldn’t be able to find anywhere else for a cheaper price, which does a better job. Oh, how wrong could I be? Saying that, don’t jump to conclusions yet. The oil isn’t the worst thing I’ve ever tried on my hair, no. But it’s also certainly not the best. I feel that rather than getting the myth as exotic as a unicorn here, we have something much more intriguing in the form of the unicorns vomit. It’s packaged in a fancy way, appealing to the eye, but when you get closer and try the real thing it’s just a over hyped substance better left in a fairy tale (albeit it a rather grim fairy tale if it involved vomit from any mythical creature). Like I’ve said, the product itself is packaged very nicely, I liked the box, I liked the bottle and the pump. It’s nothing special though really. The smell of Mythic Oil I found to be very synthetic and cheap. It wasn’t what I expected at all. It was kind of that standard salon smell. When I bought it from Toni and Guy the woman explained that it was a blow dry product, only to be used for blow drying (she was very stern about this). I was sure it could be used on dry hair also, and I wasn’t wrong. 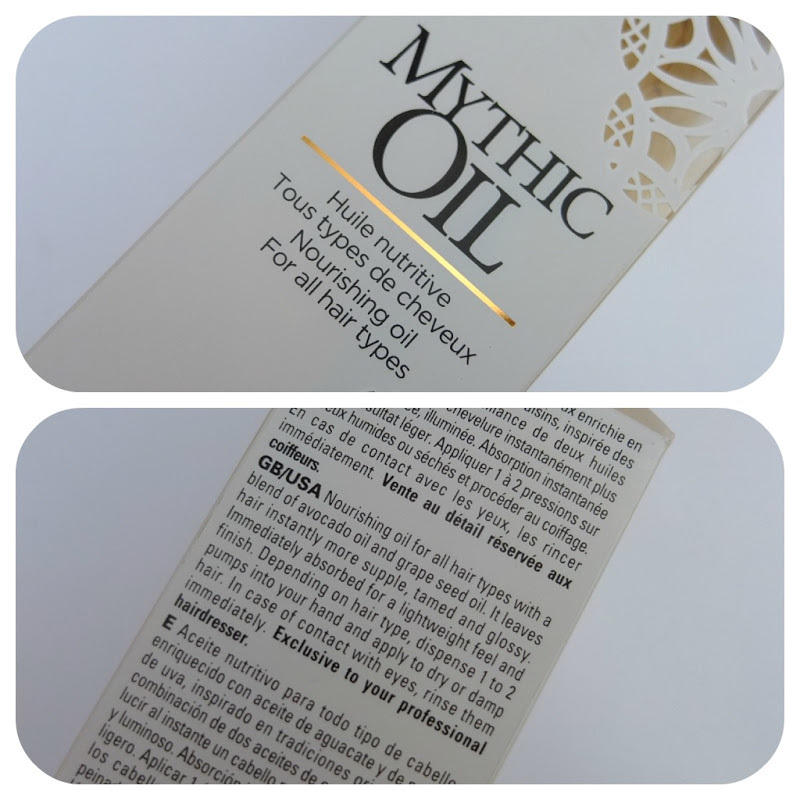 Mythic Oil can be used on wet or dry hair. Although it is advisable to use a lesser amount on dry hair than wet. I used it in every way I could think of – wet, dry, damp, as a pre-shampoo treatment, hell, I even cracked the hair dryer out to experience it as a blow dry oil. All just left my hair lank and lifeless and no more moisturised than if I’d have used my £2.99 Aldi Miracle Oil, which I favour endlessly over this. I’ve used sparingly and liberally to no avail. It just ends up making my hair look so flat and dull. 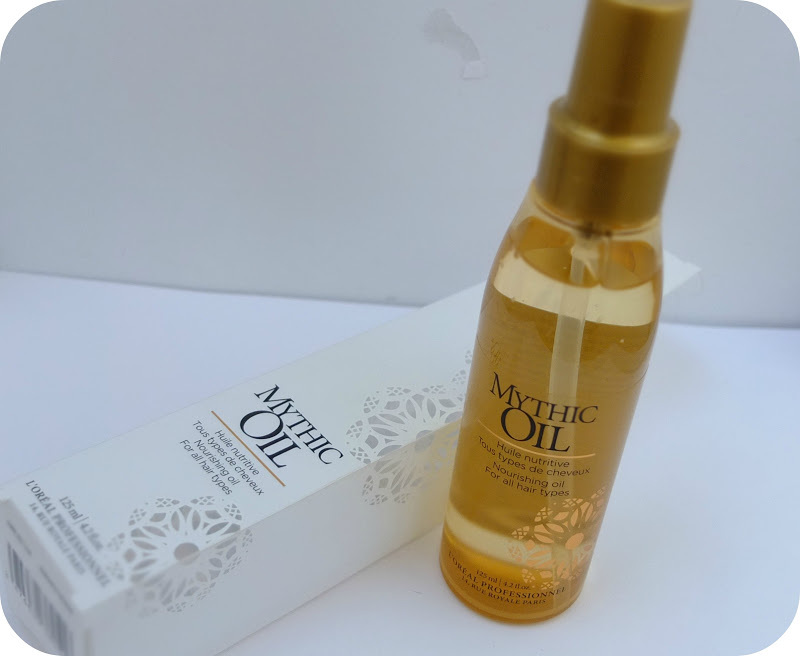 I’m sure some people have found Mythic Oil to be the miracle hair product they were after, but I have tried quite a few in the past and I feel this one is by far one of the least favourable out of the lot. I certainly won’t be purchasing it again when like I’ve said, I can get better ones for my hair type at a much cheaper cost. 1. Of, relating to, or resembling myth. I think I know which definition this one can be filed under…..